Dental cavities, or tooth decay, affect over 90% of the U.S. adult population. Gum disease, while less common, still affects an alarming 50% of adults over the age of 30. U.S. children are suffering too, with tooth decay affecting more than 40% of those between the ages of 2 and 19. Although gum disease is more common in adults (one in every two of them have it! ), children are also susceptible and can suffer from it too. Poor dental hygiene is the main culprit behind these oral health issues. 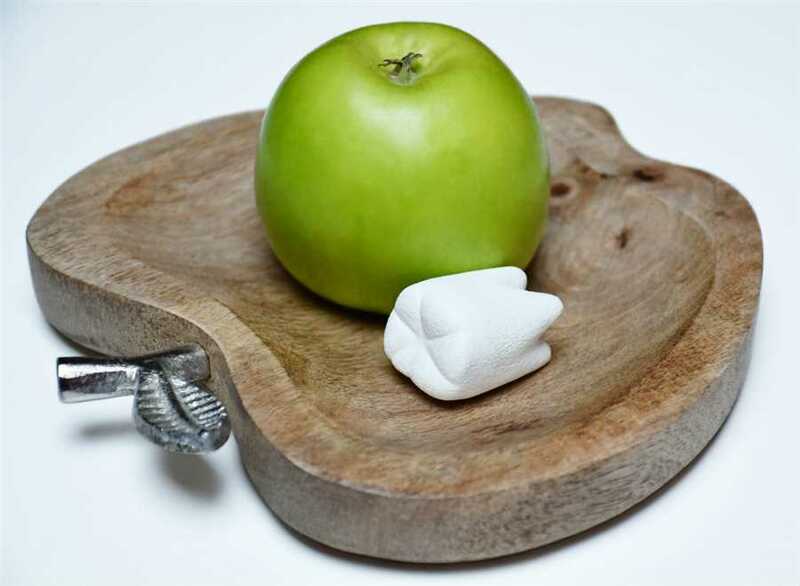 Many people forget that a balanced, healthy diet is essential for strong teeth and gums. The food you eat and liquids you drink can strengthen your pearly whites. The consumption of the wrong food and liquids, however, can weaken your teeth and cause you to struggle with tooth discoloration. It is important to understand the roles of vitamins and minerals when it comes to your oral health! Proper nutrition consists of well-balanced meals. These meals then supply your body with the nutrients it needs for optimal health. A diet lacking in nutrients essential to your health affects your teeth and gums in a variety of negative ways. First and foremost, poor nutrition makes it more difficult for your mouth to resist infection. A body that doesn't receive the nutrients it needs doesn't have a source for tissue renewal and repair. This increases the risks of gum disease and other types of infections. There are many types of foods and beverages that contribute to the weakening of the teeth, with the most concerning substances containing high amounts of sugars and starches. Sugary and starchy foods increase acid production in the mouth, which can then lead to the erosion of your teeth. Erosion of the enamel, the hardest tissue in the body, weakens the teeth. Weakened teeth are more prone to physical damage (breaks, chips, cracks) and decay. It is important to always remember that your overall health and oral health share a close connection. Many studies, like this one, show a strong correlation between oral diseases and chronic diseases. With this in mind, it's time you start eating healthier! It is wise to start stocking the fridge and pantry with foods or liquids that promote healthy gums and teeth. You want to make sure they contain the following vitamins and minerals. One of the most effective way to strengthen your teeth is to consume more calcium. This mineral, after all, is a major component of the bones. The teeth essentially are bones, so they need calcium to maintain their structure and strength. The organs, skeletal muscles, and the brain also require healthy doses of calcium. How much calcium do you need? That depends on your age and gender, along with several other factors. For example, the daily recommended amount of calcium for adults between 19 and 50 years is 1,000 mg. In adult women between 51 and 70 years, this recommended daily amount increases to 1,200 mg.
Luckily, you obtain calcium from many different foods and beverages aside from milk. Other dairy products, like cheese, are perfect sources of calcium too. In fact, many people in the U.S. receive substantial amounts of their calcium from cheese - on average, a person eats about 35 pounds of it every year! If you're not a fan of dairy foods, soy-based products (like soy milk and tofu) also provide healthy doses of calcium. These are also rich in protein, which is important for muscle building and tissue growth/renewal. Greens like broccoli, cabbage, and kale, are also packed with calcium. Alternative sources of calcium include beans, nuts, and soft-boned fish (like salmon and sardines). It's wise to pair up your calcium sources with Vitamin D-rich foods, since this vitamin boosts the body's calcium absorption rate. At the same time, Vitamin D also improves bone mineral density. Is potassium a vitamin or mineral? Well, it's a mineral that helps boost bone mineral density in a similar manner to Vitamin D. In other words, your bones require healthy doses of potassium for strength and structure. Bananas are the most popular source of potassium, but you can find good amounts of potassium in lima beans, tomatoes, swiss chard, prunes, and avocados. Healthy amounts of Vitamin B3, or niacin, helps prevent canker sores and bad breath. Poultry, meat, and fish are all good sources of this vitamin. Vitamin B2 and B12 also help prevent the development of mouth sores. Red meat, pork, chicken liver, fish, and dairy contain good amounts of Vitamin B2 and B12. You can also find a healthy dose of these vitamins in greens like spinach, almonds, and dairy. A key strategy to strengthen your gums is to increase the amount of Vitamin C in your diet. This vitamin not only strengthens your immune system, but it improves the health of your gums! Vitamin C is important for building and repairing connective tissues in your body. This is crucial in preventing inflammation and other conditions associated with your gums. Vitamin C also helps speed up your body's regeneration and healing. Citrus fruits like oranges, grapefruits, and lemons aren't your only Vitamin C sources. You'll also find healthy doses of Vitamin C in broccoli, cauliflower, Brussels sprouts, green/red peppers, and leafy greens (spinach, turnips, cabbage). Phosphorus is another mineral that helps you make the most out of your calcium consumption. It plays a supportive role in strengthening bones and teeth. Many different foods contain phosphorus. All types of seafood provide healthy amounts of this vitamin. Plant-based sources of phosphorous include soybeans, pumpkin seeds, and lentils. As you can see, keeping a healthy, balanced diet is crucial for strong teeth and gums. However, it is also important to maintain good oral hygiene habits and to make regular visits to the dentist for checkups. ​That's where Lake Forest Family Dentistry can help! With our comprehensive high-quality dental services, we can help keep your family free of teeth and gum problems! Connect with us now and we'll be happy to address any oral health-related questions.